Are Mercury Amalgam Fillings Safe? Cavity fillings are the single most common restorative dental treatment given to patients in the U.S. today. They work by filling the hole in your tooth that caused by damage or decay, and seal it to prevent the bacteria from penetrating deeper into your tooth where it can cause further dental problems. The vast majority of cavity fillings given to patients are made from a substance known as amalgam. Although often referred to as a ‘silver cavity filling’ or ‘silver amalgam’, they are actually made from a combination of different materials including tin, copper, silver and mercury. This last component can be alarming to many people, as mercury can be toxic when people are exposed to it at high levels. Mercury is a natural substance that we are exposed to in our natural environments. Trace amounts of mercury can be found in the air we breathe, the water we drink and even the food we consume. Thankfully, these levels are so small that even as the amount of mercury accumulates, it has virtually no effect on our bodies. However, if higher levels of the element were to enter our bodies, it can cause a range of unpleasant side effects including memory loss, headaches and chronic fatigue. At its worst, mercury poisoning has been known to cause degradation of the membranes supporting our vital organs including the liver, nervous system and brain. So, as a proven toxic substance, why are silver amalgam fillings still being used in dentistry today? To address the increasing concern over the use of mercury amalgam fillings, in 2009 the FDA evaluated research into their safety. The studies showed that despite previously believing that the mercury used in amalgam was inert and unable to pass into the body, small amounts of mercury are released in the form of vapor as the filling wears. However, the level of mercury released was deemed to be less than the average person is exposed to through normal environmental conditions, and as such, the FDA concluded that there was no reason to limit the use of amalgam fillings, stating that they continue to be a safe cavity filling treatment for patients aged 6 years and up. If patients are concerned, why are they still choosing silver amalgam fillings? Amalgam is a considerably cheaper than the tooth-colored composite cavity fillings that are available today. This makes them much more popular with patients who are on a budget, and those who don’t feel compelled to spend more on discrete fillings that may not be in a visible part of the mouth. What are the alternatives to silver amalgam fillings? If you are seriously concerned about the levels of mercury in silver amalgam fillings, then you could ask your dentist about composite fillings. Composite fillings can be made from a combination of glass and resin, or from porcelain, and are tooth-colored which makes them extremely discreet. Composite fillings are non-toxic, biocompatible and do not expel any vapor as they wear, making them a popular alternative for patients who are worried about the toxicity of amalgam fillings. 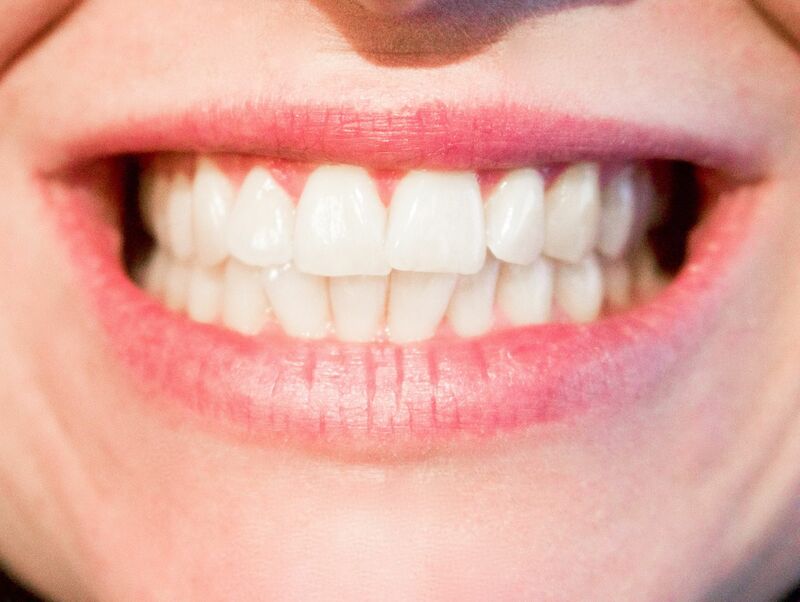 If you have ever thought of getting veneers, there has never been a better time. However, before you jump right into getting your dream smile, there are some things that you should know and consider. Wisdom teeth are the third set of molars in your mouth. They are typically the teeth that are set the furthest back in your jaw. They also develop much later than the rest of your teeth and generally erupt between 17 and 25 years of age. Cavities are generally formed after sugars and bacteria build up in one area over a prolonged period. In order to prevent cavities, efforts are typically made that will either clean and remove sugar and bacteria or strengthen the protective coating over the tooth (the enamel). Sometimes dental cement can wear off, causing dental crowns to become loose. Learn how to deal with a loose dental crown. Recovering from dental implant surgery is a fairly straight forward process. Following these tips will lead to a quicker recovery from dental implant surgery. Invisalign provides patients many benefits over traditional braces, such as discreteness, easier to clean, and less pain. Learn more about the benefits of Invisalign here. Dental crowns and porcelain veneers are used to treat decayed and discolored teeth. Learn about the differences between dental crowns and porcelain veneers. Porcelain veneers can improve the function and appearance of damaged teeth. Learn more about the benefits of porcelain veneers. Invisalign and traditional braces are orthodontic treatments used to improve crooked and misaligned teeth. Learn the pros and cons of Invisalign and traditional braces. Are you or a loved one dealing with bad breath? Learn the causes, symptoms, and treatments of halitosis. During dental crown treatments, we use an anesthetic, so patients feel minimal discomfort. Learn more about the dental crown treatment process. Dental inlays and onlays are restorative treatments used to treat cavities. Learn more about the benefits of inlays and onlays over traditional fillings. Tooth colored fillings are an effective and aesthetically pleasing alternative to traditional fillings. Learn more about the benefits of tooth colored fillings here. Partial dentures provide a lot of benefits for patients suffering from tooth loss versus leaving tooth loss untreated. Learn more here. Sleep apnea is a serious condition that should be treated promptly. Learn the benefits of sleep apnea oral appliances at Cadle Cosmetic Dentistry in New Port Richey, FL. A dental bridge can help replace lost teeth in a natural looking and functional manner. Learn more about the many benefits of a dental bridge at Dr. Donal Cadle, JR in New Port Richey, FL. At our cosmetic dental practice, Dr. Donald Cadle offers dental crowns with many benefits over other restorations. Learn about the benefits of a dental crown at Donald I. Cadle, Jr., DMD. Are you suffering from tooth loss, advanced decay, or gum disease? Learn how a full mouth reconstruction can transform your smile. Oral cancer screenings during dental exams could save your life. Learn what to expect during your screening and call 727-312-1300 to know more. How often should you have your dental implants checked? To preserve the longevity of your dental implants, you should attend dental check-ups. Learn more and call 727-312-1300 for further information. When exposed to mercury at high level, it can be one of the most poisonous elements known to man. Learn more here and call 727-312-1300 for further details. Cadle Cosmetic Dentistry offers Sedation Dentistry which makes regular visits to the dentist and improves oral health. Call 727-312-1300 to know more. Whilst wisdom tooth removal is a serious surgical procedure, with the right aftercare you can help to minimize your risk of complications, reduce unnecessary pain and debilitation, and improve your recovery time. Laser technology has come a long way in the last decade, especially in the field of Dentistry. Learn some of the benefits as well as facts on its safety here. Read more about how to take care of your teeth for a lasting white smile. Contact 727-312-1300 and schedule an appointment today. Learn the benefits of Invisalign vs traditional braces. Contact 727-312-1300 and schedule an appointment today! Learn about why Smoking is bad for your teeth. Contact 727-312-1300 for further information. How are dental implants better than bridges and dentures? Learn about the benefits of dental implants compared to dental bridges and dentures. Contact 727-312-1300 to know further information. Read more about severe teeth misalignment and how to treat it. Contact 727-312-1300 for more details.